Flying Bicycle is proof that childhood dreams do come true. Invented by Yannick Read and John Foden, the flying bicycle can fly up to 4000 ft high, with a maximum speed of 25mph in the air, or 15 mph while on the ground. 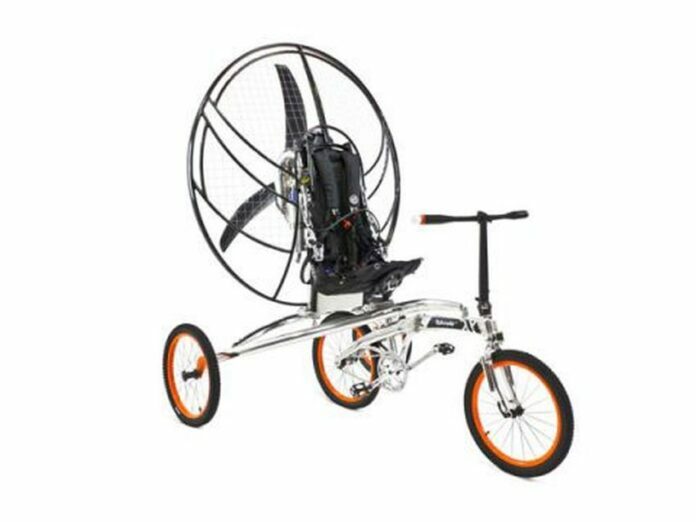 This invention is made of a three wheels bicycle connected with a 249cc motor fan, and the maximum time spent in the air is 3 hours. 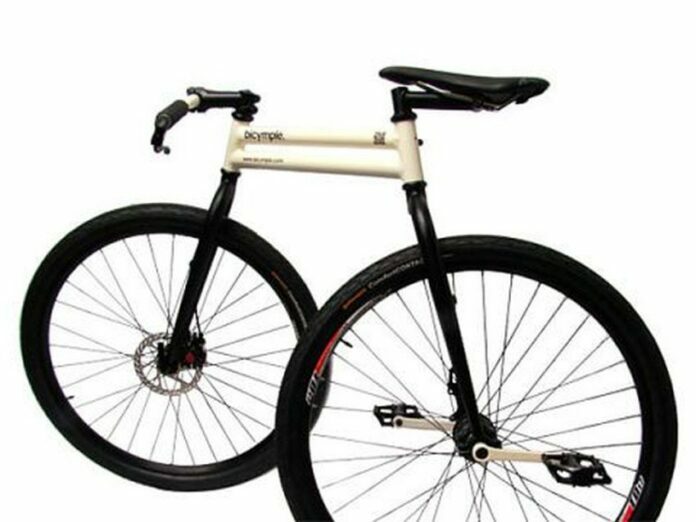 The bicycle is made of light aluminum, and thanks to the powerful engine, it can reach a respectable altitude very fast. 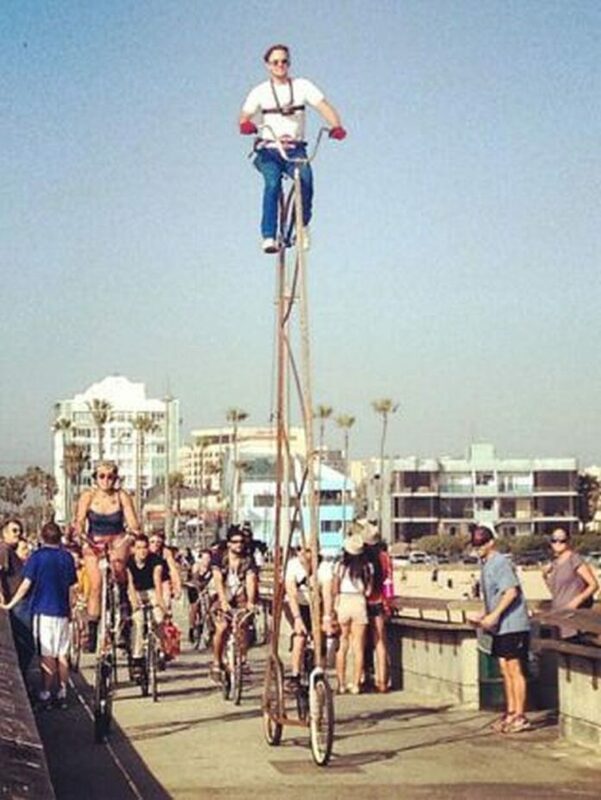 The winner of the tallest bicycle in the world, officially is a Stoopidtaller, made by Richie Trimble in L.A. 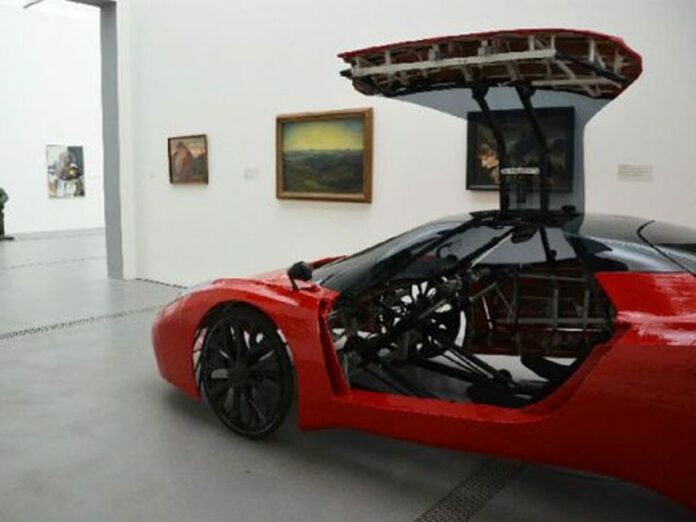 This invention is 20 feet high and has 275 pounds in weight. 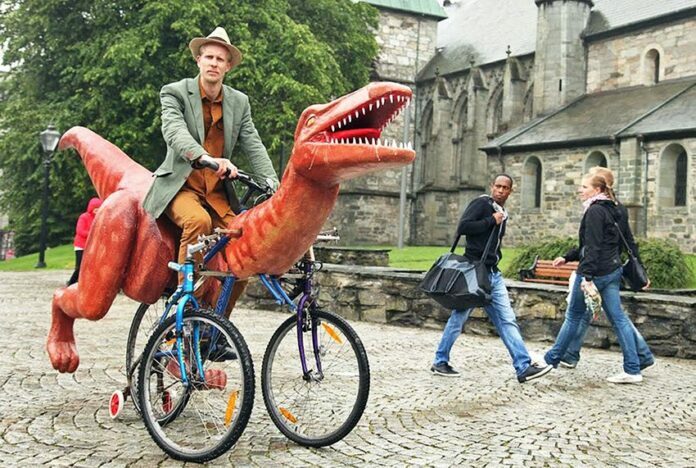 Previous Trimble’s bicycle was 15 foot tall, called Stoopidtall. Apparently not high enough, he decided to build a taller one. 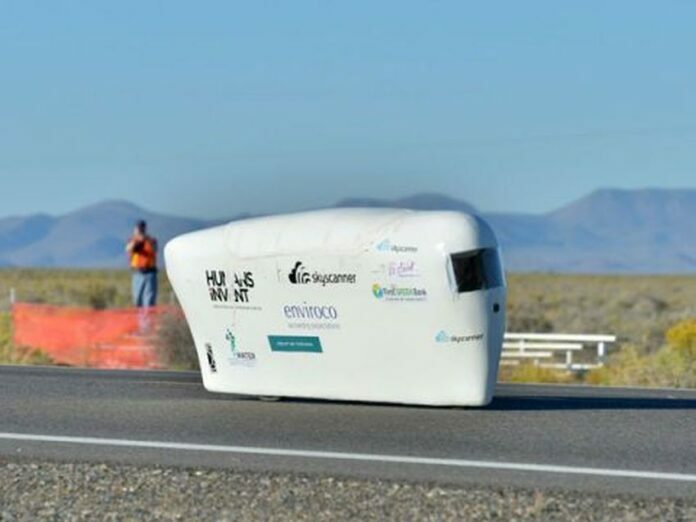 World speed record for the fastest bicycle goes to Graeme Obree, a former professional cyclist, and his bicycle. The record was set in September 2013 as Obree reached the speed of 56.62mph. 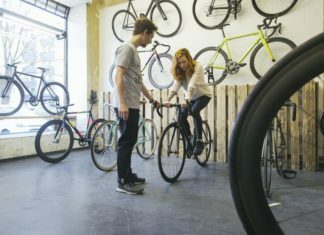 The bicycle is completely protected with Kevlar and fiberglass shell, and it has a small window at the front, as well as an opening for breathing. Inside the Schell, a mechanism of the bicycle is built in a way to allow a rider to pedal in horizontal position, and reach up to 60mph speed. Who can imagine a bicycle without its main component- the chain? Well, Josh Bechtel created exactly this type of bicycle. The chainless bicycle has a bit strange design and unusual look. 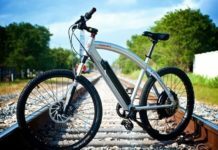 It is basically a bicycle with only one speed, that has a short wheelbase. Created in 2012, Fahrradi Farfalla FFX represents a giant among the bicycles, considering its upscale exterior. Although it looks like a sports car at first, this bicycle was made to for one or two riders. Ferrari Bicycle has an aluminum frame, 11-speed hub gearbox, and 200 LEDs implemented for night rides. Floating or Water bicycle is a bicycle connected to inflatable pontoons. Designed by Judah Schiller, the Floating bicycle has a mechanism attached to the back wheel. While riding, the power produced from the pedals transfer to the front wheel with a propeller attached on it. Schiller constructed this bicycle to be very easy to set up and break down. The full equipment is less than 20 pounds weight. Judah Schiller rides the bicycle over Hudson River and San Francisco Bay. 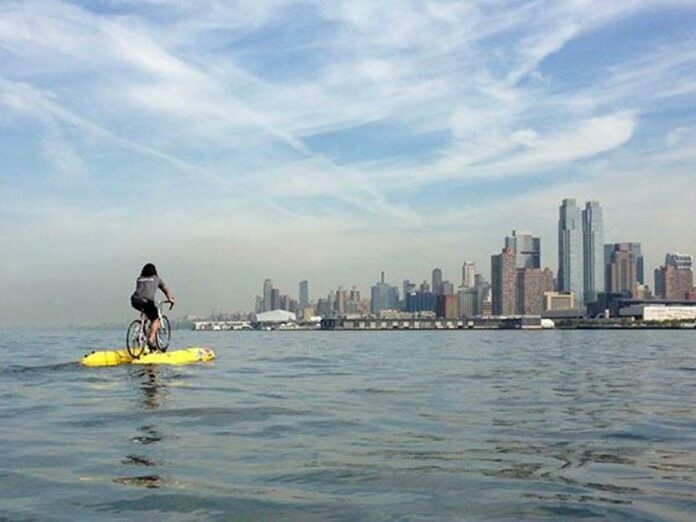 This half bike – half raft hybrid is a great option if you want to avoid everyday traffic from New Jersey to the Big Apple’s downtown. 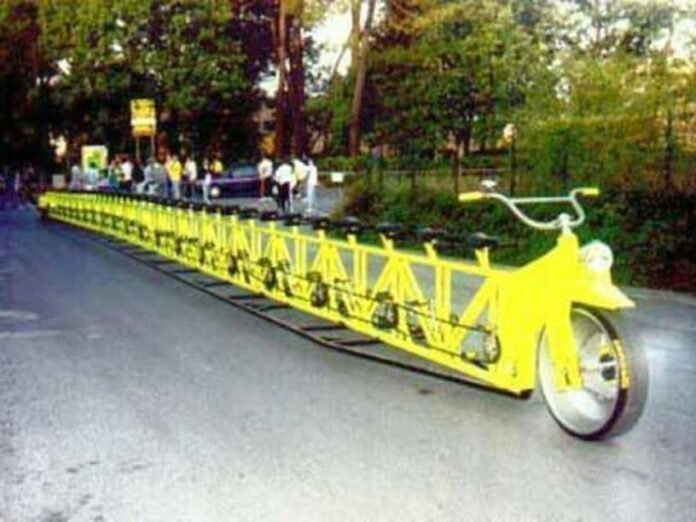 The longest bicycle is 117 feet 5 inches long bicycle, build in 2011. It has two wheels as any other bicycle, and a least 2 persons are necessary to pedal this invention. No matter the length, this bicycle has no stabilizers, which makes him a true challenge to ride. The longest bicycle was built in the Netherlands, and the designers are members of Mijl van Mares Werkploeg. 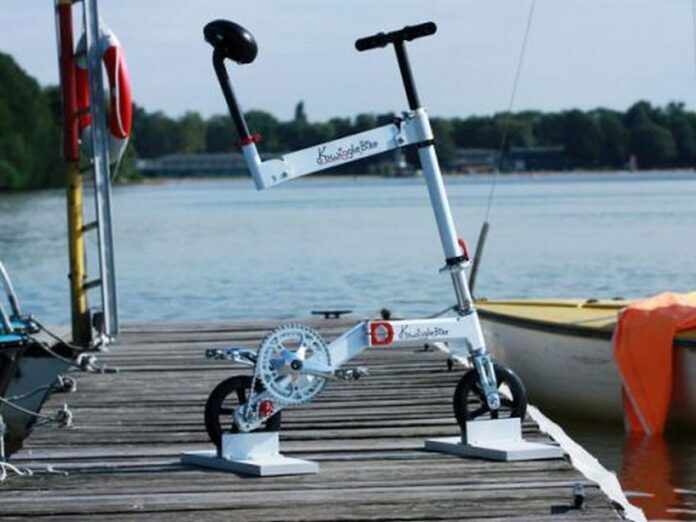 Busy life in the modern city can be much easier with foldable bicycle such as the Kwiggle. A unique design of this bicycle allows you to fold it into a small package. Although still just a prototype, the creator of the foldable bicycle, Karsten Bettin, hopes to finish the last stage of the constructor and present it to a public soon. The foldable bicycle has 14 pounds of weight, can reach up to 15 mph, and it has two 8 inch wheels.